The first page of the score for Florent Schmitt’s harpsichord suite Clavecin obtempérant, composed in 1945 for Marcelle de Lacour. 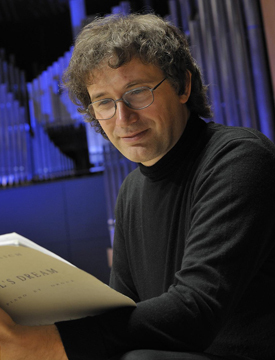 Over a lengthy career spanning more than seven decades, French composer Florent Schmitt created numerous works that showcased the special qualities of various different instruments — including some that are not so often the “featured celebrities” in scores. In addition to possessing a commercial recording of Schmitt’s harpsichord version of the Sonatine en trio, I’ve had the good fortune to see the harpsichord version of this piece performed in concert on two occasions, so I have first-hand knowledge of that version’s effectiveness — both in sight and sound. Marcelle de Lacour, photographed at the beginning of her musical career (1920s). A decade following the appearance of the Sonatine en trio, Florent Schmitt returned to the harpsichord for a new work — this time creating a four-movement suite for solo instrument that Schmitt composed for the esteemed French harpsichord soloist and teacher Marcelle de Lacour. As a student of the great Wanda Landowska and as an artist who would live a full century (1896-1997), Mme. de Lacour was one of the best harpsichord performers and teachers France has ever produced. She was active on the Parisian musical scene beginning in the mid-1920s, as well as serving as a professor at the Paris Conservatoire beginning in 1955. In the 1940s and 1950s Mme. de Lacour was also active as a performing artist, appearing with the most important Parisian orchestras as well as in recital with other prominent musicians, including members of the Pasquier Trio, the flautist Jean-Pierre Rampal and the oboist Pierre Pierlot. 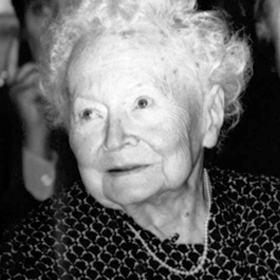 Marcelle de Lacour in later life (1990s). Naturally, she excelled in music of the Baroque and Classical periods — particularly French repertoire such as Lully, Couperin and Rameau. But perhaps even more consequential was her involvement with contemporary music — including championing new repertoire created for her to perform. A decade after her passing, the foundation bearing the name of Marcelle de Lacour and her husband, Robert, inaugurated a competition for new harpsichord compositions. The aim of the competition is to continue promoting the contemporary relevance of the instrument as Mme. de Lacour had done in her own day. 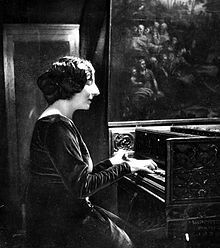 Wanda Landowska (1879-1959), photographed at the harpsichord in 1937. The piece that Florent Schmitt created for Marcelle de Lacour in 1945 is an absolutely fascinating composition. It is a four-movement suite bearing the tongue-in-cheek name Clavecin obtempérant, Op. 107 (“The Ill-Tempered Clavier”). The title is a riff on Johann Sebastian Bach’s harpsichord magnum opus, the Well-Tempered Clavier — some 48 preludes and fugues that were reintroduced to modern audiences early in the 20th century by Marcelle de Lacour’s famous teacher, Wanda Landowska. 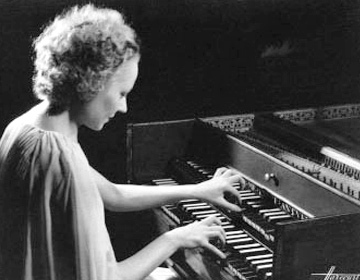 Marcelle de Lacour gave the first performance of Clavecin obtempérant at a Société National de Musique recital on February 26, 1946. A dozen years later the harpsichordist entered the studios of French National Radio and performed the work for national broadcast (on July 11, 1957). More than likely, the by-then-elderly Schmitt was in attendance at that performance, giving it a certain official imprimatur. The Forgotten Records release of Florent Schmitt’s Clavecin obtempérant (December 2018). Clavecin obtempérant has never been recorded commercially, but fortunately for us the 1957 RTF broadcast performance has resurfaced after more than 60 years and has now been released by Forgotten Records, the classical label that has resurrected many commercial recordings as well as historic broadcast performances — over 1,500 offerings at last count — in addition to releasing newly recorded material. One could characterize the music as “poly-everything.” It is polytonal and polyrhythmic — rooted in tonality but with things always a little askew. The musical language is muscular yet very “French,” and it’s utterly fascinating in the way the musical arguments are presented … then broken apart and put back together again. Even the slow third movement — which in many of Schmitt’s compositions is where he comes closest to capturing the spirit of his teacher and mentor Gabriel Fauré — is one with a distinctly ironic edge to it. And the final chord in the last movement — a sort of musical stick in the ribs — underscores further the “wink-wink-nudge-nudge” character of the music. This is an “ill-tempered clavier” indeed — but it’s not unlike the ornery relative one encounters in nearly every family — you know, the person who is endlessly interesting even as he or she tests everyone’s patience. 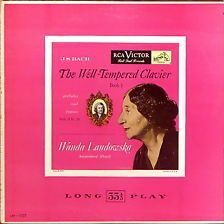 One of the volumes in RCA Victor’s 6-LP set of the complete Bach Well-Tempered Clavier, recorded by Wanda Landowska (1949-52). 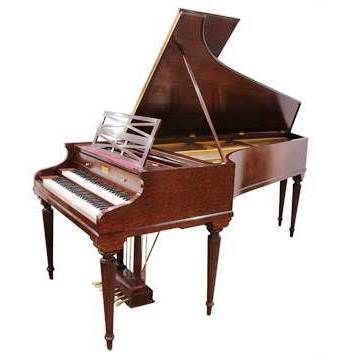 Although I don’t know for sure what kind of harpsichord Marcelle de Lacour used for her 1957 ORTF performance, to my ears it sounds very much like the type of full-bodied Pleyel “revival” instrument utilized by Wanda Landowska when making her RCA Victor 6-LP complete recording Bach’s Well-Tempered Clavier. 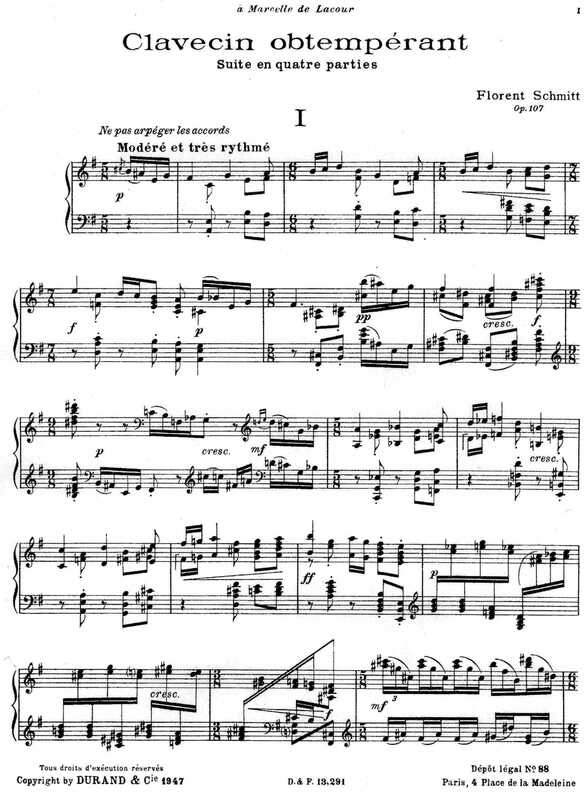 Musicologists may disagree lustily over whether the choice of a Pleyel model for recording Landowska’s Bach works was the “properly authentic” one, but for a piece like the Florent Schmitt Clavecin obtempérant, it seems like indisputably the right choice. A Pleyel harpsichord from the 1930s. I’ve found that Clavecin obtempérant is a robust composition that pays new musical dividends with each subsequent hearing. There is so much going on in each movement of the suite, it requires multiple auditions for everything to settle in and for the broader narrative of the music to become clear. Undoubtedly, the piece is a major musical (re)discovery — and one that deserves a place in the repertoire of every serious harpsichord artist. 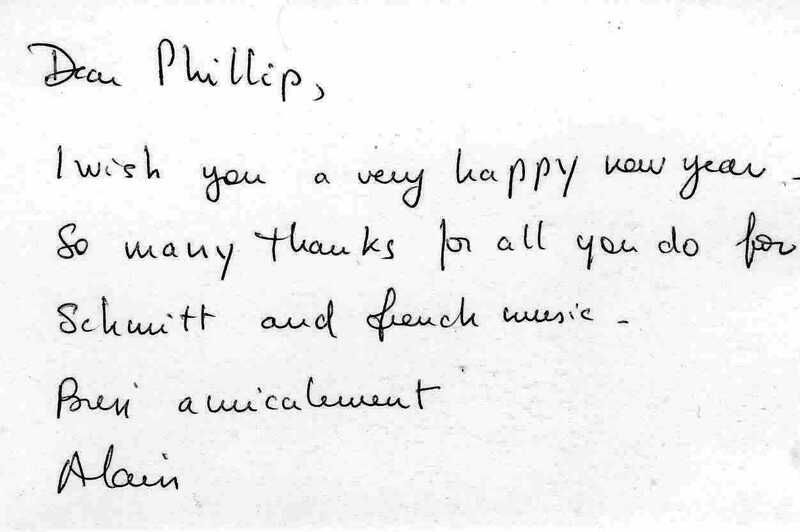 A handwritten note from Alain Deguernel, founder and head of Forgotten Records, enclosed with the new CD shipped in December 2018. 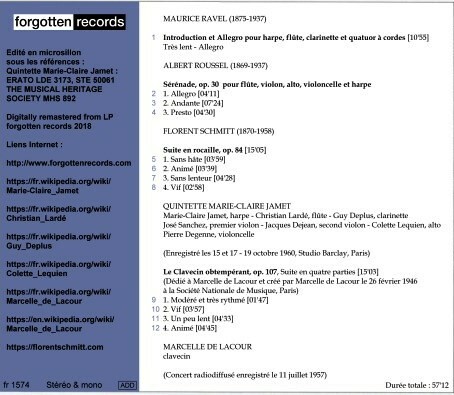 Marcelle de Lacour’s performance of Clavecin obtempérant is available on a newly issued Forgotten Records release. 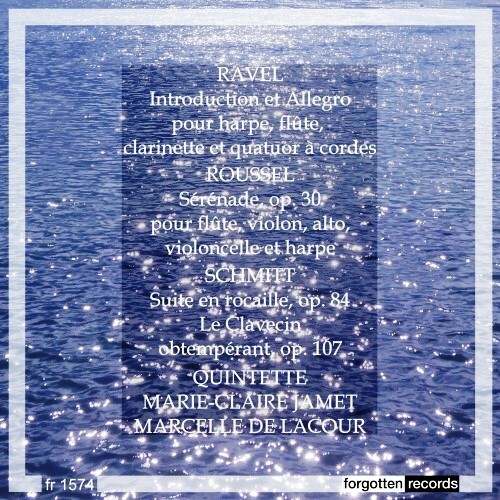 The new recording also contains classic 1960 performances of chamber works by Ravel, Roussel and Schmitt as performed by members of the Marie-Claire Jamet Quintet (those selections were originally released on the Erato label). The disc can be ordered directly from the Forgotten Records website, and the label ships internationally. Detailed performance and recording information for the Forgotten Records release (December 2018). My recommendation would be to listen to the recording while following along with the score to Clavecin obtempérant. See if you aren’t surprised and delighted by rich musical invention in this endlessly fascinating piece of music. This entry was posted in Classical Music, Composers, French Composers, Instrumental Music and tagged Alain Deguernel, Bach, Clavecin, Clavichord, Florent Schmitt, Fodation Robert et Marcelle de Lacour, Harpsichord, Jean-Pierre Rampal, Marcelle de Lacour, Messiaen, Pasquier Trio, Pierre Pierlot, Pleyel, Sonatine en Trio, Thierry Escaich, Wanda Landowska, Well-Tempered Clavier. Bookmark the permalink. « French music specialist Michael Feingold talks about creating orchestrations of Maurice Ravel’s piano and vocal scores.